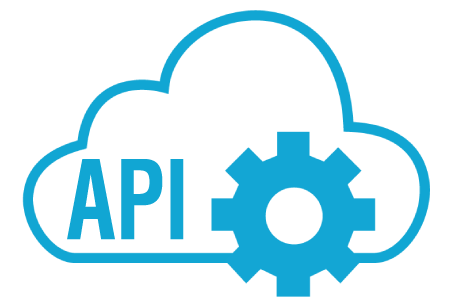 How Can Restaurants Benefit From API's? Restaurants today are about more than just food and hospitality. Technology has become a major factor, both customer facing and behind the scenes. Restaurant chains are being more efficiently run with the help of numerous systems from Point of Sale, Back of House, Labor Scheduling, Business Intelligence, Guest Loyalty and the list goes on. Each system holds valuable information that becomes exponentially more valuable when combined with other data. In order to take advantage of that value, restaurant IT executives are continuously faced with the challenge of making these restaurant systems talk to one another. Unfortunately, it's not that simple. Getting data out of some of these systems can be pretty challenging. However, the push is being made more and more for technology companies to "open up" access. Enter the API. An Application Programming Interface (API) is a set of routines, protocols and tools for building software applications. According to Mirus Implementation Specialist, Emily Duncan-Tobar, APIs offer a way to gather data. "It's another form of data gathering we have in our tool belt" says Duncan-Tobar. Sometimes she says it may be the only way. In an industry where it can sometimes be tough for restaurants to extract their own data it's nice to see many vendors are beginning to make it easier for companies to get the most value by combining data sets. According to Hospitality Technology magazine, their 2014 Restaurant Technology Study found that "foodservice operators cite integration as a major business driver influencing their next POS upgrade." A number of POS and other restaurant systems have since created APIs to allow users to access and integrate their data with other systems. In fact, in some cases Mirus uses APIs to collect data for our clients from systems like Hot Schedules, NorthStar, Brink and Mindshare. Restaurant IT departments can use APIs as a standarized way to easily pull and consolidate information. "APIs give companies who need to communicate across systems a lot of flexibility," says Mirus Senior Java Developer, Sarah Danielson. "They offer a greater ability to share data both to and from the store BOH systems." Before APIs there were only a few options companies had when they wanted to share data, for example: allow direct access to server systems or push data via a FTP. Both of which Danielson says may open those systems to unwanted security threats and lessen flexibility for data sharing. The advent of new cloud-based POS systems which use APIs to transfer transactions instantly means the local store systems do not require standalone BOH systems any longer. "This is why we see more tablets for order taking and checkout in restaurants," says Danielson. Another benefit of APIs according to Danielson is how much easier they are to deal with and the fact that they require less individualized code to set up. Less coding and customization means less cost overall and less time to implement. "Cheaper overall cost is one of the main drivers of this technology," says Danielson. "A lot of the newer restaurant technology innovations have been implemented on the API cloud based side which will benefit restaurants in the long run.". Additional benefits reported by restaurant executives who have switched to API based tablet POS systems include fewer communication errors with order taking and an increase in server time on the floor which lead to better service and more upselling according to this HT Magazine article about Mobile POS. Overall, APIs are making it easier for systems to talk and for restaurant IT executives to generate more value out of the assets they've already invested in. Is your restaurant IT department taking advantage of APIs? If so, which ones and how are they helpful?